1) Quartz came out of the British hard rock hotbed of Birmingham to join the New Wave of British Heavy Metal movement in the late '70s. 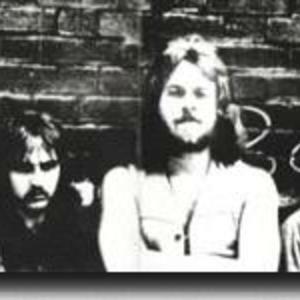 With a lineup that included John Bonham-associate Mike Hopkins and future Black Sabbath keyboardist Geoff Nichols, they were actually founded under the name Bandylegs but changed when Jet Records showed interest in the band. They signed a contract with the label and toured with both AC/DC and Sabbath before beginning work on their first album. The tour with Black Sabbath turned out to be quite fruitful, as they gained a tour manager (Albert Chapman) and a big fan in Sabbath guitarist Tony Iommi. Iommi took over the production duties on their eponymous debut, drafting Queen's Brian May into the sessions to play some guitar. The album was important to the emerging scene, and they joined Diamondhead and Def Leppard in being one of the first bands to make heavy metal faster and less plodding. Quartz stayed relevant to the genre for their short time together, but by 1983 their irreconcilable differences split the band apart. Time has eroded how important the band was to the genre at the time, but fans of that period in heavy metal history know Quartz's place in the scheme of things. 2) Quartz is an experimental project by Alexandr Vatagin (bass, chello, electronics) und Lukas Scholler (electronics) from Vienna (Austria). Track "Feed/Wrong" is availible on the netlabel mahorka (Mhrk033) and track "Recomposed" on M|hrk048. Also live performances are held regularly, including tracks from the solo projects of Alexander and Lukas. 3) Quartz was a British "cabaret performer" whose track "Social Values" from 1977 appeared on the 2009 compilation Working Mans' Soul volume 2. 4) Formatia Quartz a fost infiintata in anul 1984 de chitaristul Amedeo, care a ramas de-a lungul timpului si liderul acesteia. Actuala formula Quartz este: Gianina Corondan (voce), Amedeo Bolohoi (chitara, voce), Olivia Paun (tobe, clape, voce) si Dan Tufan (bas, voce). 5) French disco group. Members were Didier Plus, Laurent Taieb, Patrick Langlade. They released two albums, Quartz (1978) and Camel In The City (1979), and some EP:s.